Bodhi News & Analysis - 24 Jan. 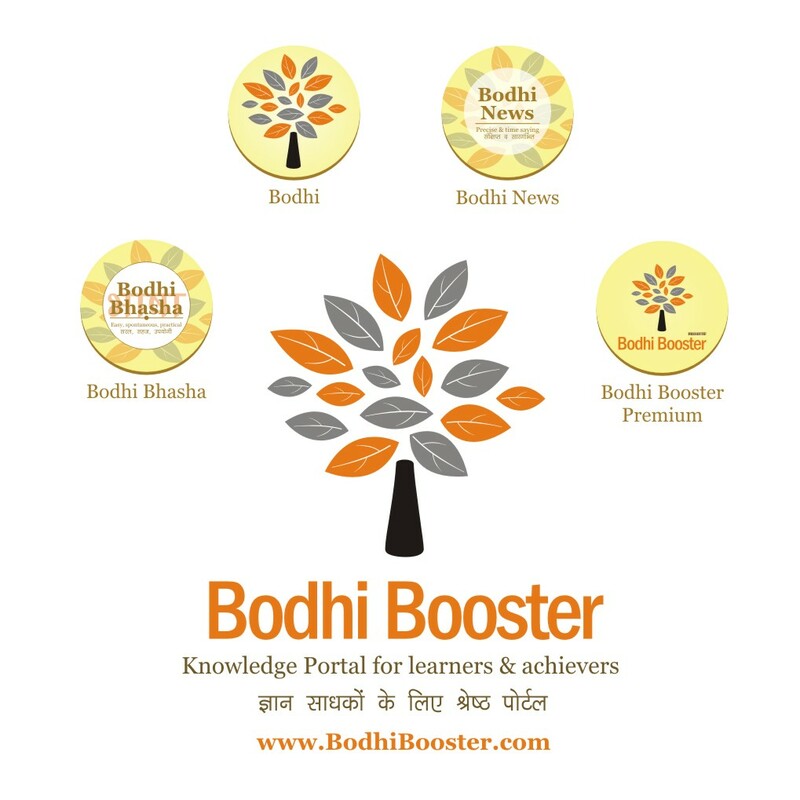 Welcome to Bodhi News for 24 January, 2017 - from Bodhi Booster knowledge portal! 1. World politics – The TPP is dead, officially. President Donald Trump has signed an Executive Order withdrawing US from the Trans Pacific Partnership deal, created by Obama. It is a big boon for China as it was excluded from the TPP. India is also benefitted. However, other Asian nations (part of TPP) have said they’ll save the agreement. 2. Society and culture – The 10 year old son of President Donald Trump was mocked on social media by haters, but both Democrats and Republicans immediately came to his rescue, forcing haters to apologise. The dark side of social media is exposed once more. 3. Indian politics – The Swaraj Abhiyan of Yogendra Yadav will present its “Kisan Budget” ahead of the Union Budget presentation by Arun Jaitley. It is also said that the government’s options are limited in making big bang announcements post-demonetisation. 4. Defence and military – The US, as expected, has warned China about illegally occupying the islands in south China sea, which are part of international waters and claimed by many nations, objections of whom China has steamrolled over. Even the UNCLOS has given an adverse verdict against China. 5. People and personalities – Chinese President Xi Jinping has said that the world’s problems are not caused by globalization. Free trade has benefited the whole world. Later, Chinese officials said if the US withdraws from world leadership position, China will have to unwillingly wear those shoes! 6. Society and culture – Eager to get a superhit movie soon, Shahrukh Khan has started advertising his movie through a rail journey. The Vadodara stopover saw a stampede killing one person. 7. Indian economy – The Union government can go ahead with its annual budge on February 1, as the Election Commission has given the go-ahead after the Supreme Court quashed the petitions urging restraint on it. However, the EC has warned that no new schemes or work done in poll-bound states may be announced in the Budget. 8. Indian economy – In connection with the massive Rs.900 crores IDBI bank loan to Kingfisher Airlines fraud case, the CBI has arrested 9 people including the ex CMD of the bank. The charges are criminal breach of trust, misconduct and conspiracy. 9. World politics – A group of nations – Russia, Pakistan and China – have been strategizing on the Afghanistan situation and Taliban issue, for their own interests, leaving out India, and angering Afghanistan. Now, India and UAE have launched a dialogue in the backdrop of recent assassination of five UAE diplomats by suspected Taliban. 10. Governance and administration – Two top performers of the present government – Foreign Secretary S.Jaishankar and Economic Affairs Secretary Shaktikanta Das – have been given extension in terms. 1. Missiles of India – Developed for safety and ensuring peace with deterrence, the Indian missile programme has been a huge success. The original programme was called the IGMDP – Integrated Guided Missile Development Programme. 2. The IGMDP started in 1982-83 and was conceived by the MoD (Ministry of Defence) and managed by the DRDO (Defence Research and Development Organisation) and OFB (Ordnance Factories Board). The leadership of Dr.Abdul Kalam (later President of India) saw it scale new heights, and complete its objectives by 2008 with successful development of strategic missiles (upto Agni III). 3. Hurdles in IGMDP – After India’s test-firing of missile in 1988, and the Agni missile in 1989, the MTCR (Missile Technology Control Regime – estd. 1987) restricted access to any technology for Indian missile program. India then went about successfully developing fully indigenous components. 4. India possesses a whole range of missiles – the Prithvi (earth) range of nuclear-capable missiles is a surface to surface ballistic missile system. It has Prithvi-I (SS-150), Prithvi-II (SS-250), Prithvi-III (SS-350) as its main constituents with most deployed already. The Prithvi-III can carry a 1000 kg warhead upto 350 kms. 5. The most strategic of missiles is the nuclear-capable Agni (fire) range. It has 6 variants – the Agni I, II, III, IV, V and VI. The last two are strategic Intercontinental Ballistic Missiles with ranges exceeding 5000 km, and are solid-fuelled for rapid action and deployment, and are not Pakistan-centric (as per DRDO). Agni VI is under development. 6. The BrahMos missile is world's fastest short-range supersonic anti-ship cruise missile in operation, capable of speeds of Mach 2.8 to 3.0. The BrahMos-II is a hypersonic cruise missile currently under joint development by Russia and India owned BrahMos Aerospace Private Limited, with a range of 290 kilometres (160 nautical miles) and a speed of Mach 7. All these can be launched from submarines, ships, aircraft or land. 7. The word BrahMos is a portmanteau (joint word) formed from the names of two rivers, the Brahmaputra of India and the Moskva of Russia. 8. The Barak 8 (a Hebrew word for ‘Lightning’) is an Indian-Israeli surface-to-air missile (SAM), to defend against any type of airborne threat including aircraft, helicopters, anti-ship missiles, UAVs, cruise missiles and combat jets. Range is 70 km. It also known as LR-SAM. 9. Prahaar (Strike) is a solid-fuel rocket surface-to-surface guided short-range tactical ballistic missile by DRDO, for striking both tactical and strategic targets, in a cost effective, quick reaction, all-weather, all-terrain, highly accurate battlefield support tactical weapon system manner. It can get ready in 2 to 3 minutes max. 10. A “K missiles” project which is largely secret, is crucial for India's nuclear deterrence providing an invulnerable second-strike capability stated in India's Nuclear Doctrine . The Sagarika/K-15 missile (Oceanic) is the SLBM version of the land-based Shaurya missile, integrated with Arihant class submarine for the use of Indian Navy. The K-5 missile for the Indian strategic forces’ underwater platforms will be a submarine-launched solid fuel missile with 6,000 kilometres. 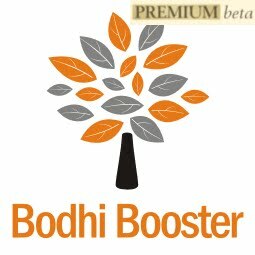 Spread the good word about Bodhi Booster! Join our social media family using links provided on top right of all pages. Share this Bodhi using the yellow vertical bar icons on right side of your screen. Comment and let us know your views in the Disqus threads. Use हिंदी बोधि and English Bodhis for knowledge development beyond mere exams. 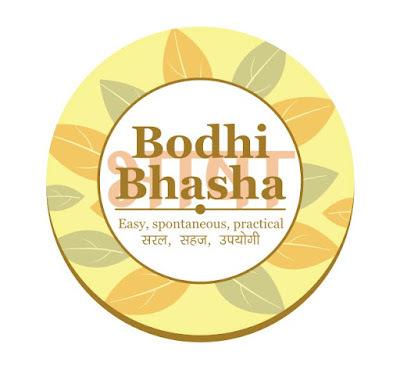 Learn English in an easy, spontaneous and practical way - welcome to Bodhi Bhasha. For revision of GK-CA for exams, use Bodhi Revision. Use content & expertise of our friends at PT education for competitive exams prep - check their PT Youtube channel, PT site and PT Self-prep courses that help you prepare best right at home! 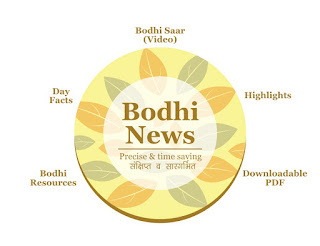 Bodhi News: Bodhi News & Analysis - 24 Jan.